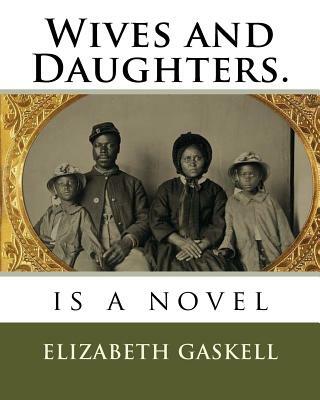 Wives and Daughters is a novel by Elizabeth Gaskell, first published in the Cornhill Magazine as a serial from August 1864 to January 1866. It was partly written whilst Gaskell was staying with the salon hostess Mary Elizabeth Mohl at her home on the Rue de Bac in Paris. When Mrs Gaskell died suddenly in 1865, it was not quite complete, and the last section was written by Frederick Greenwood. The story is about Molly Gibson, the only daughter of a widowed doctor living in a provincial English town in the 1830s.The novel opens with young Molly Gibson, who has been raised by her widowed father, Dr. Gibson. During a visit to the local aristocratic 'great house' of Lord and Lady Cumnor, Molly loses her way in the estate and falls asleep under a tree. Lady Cuxhaven (one of the daughters of the house) and Mrs. Kirkpatrick (an ex-governess to the Cumnor children) find Molly in her slumbering state and Molly is put to bed in Mrs. Kirkpatrick's room. There are allusions to the latter as Miss Clare, her maiden name. Clare appears to be a kind woman and assures Molly that she will wake her up when it is time for the entourage to leave. However, she forgets to do so and Molly is stranded in the mansion. She is distressed at the thought of spending the night at the mansion. To her relief, her father arrives to collect her.